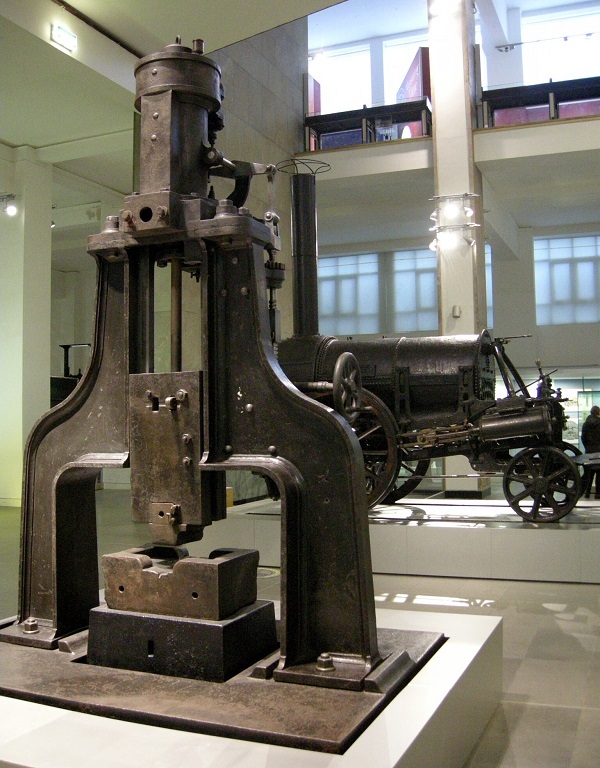 London Science Museum, Exhibition Road, South Kensington, London, SW7 2DD. There is currently (2016) still much to inspire and admire here, despite the museum's apparent ambition to emulate a shopping mall and an amusement arcade. 1857 The collection of the Society of Arts and surplus items from the 1851 Great Exhibition provided the basis for the South Kensington Museum under Bennet Woodcroft. 1893 A separate director was appointed for the Science Musuem. 1909 The art collections were renamed "The Victoria and Albert Museum". The Science and Engineering Collections were separated administratively. The name Science Museum was officially adopted. Early 1920s: the Science Museum positioned itself as a "Museum of Peace" in support of universal, international progress in contrast to the newly established Imperial War Museum. 1926 – An exhibition on adhesives opened. 1931 – Opened the “Modern Glass Technology” exhibition, arranged by the Society of Glass Technology. As the 1930s wore on, the demands of British industry and then of military defence changed the emphasis of the museum. 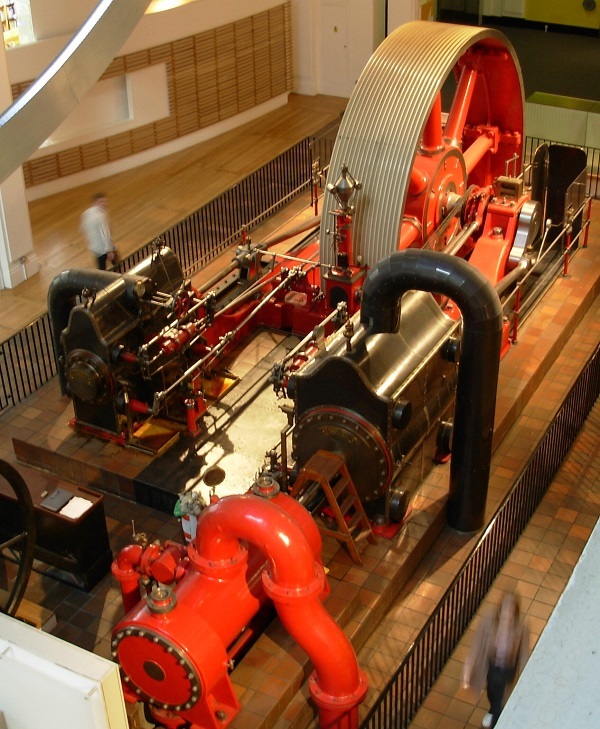 1933 – The Science Museum launched a new programme of “special exhibitions” intended to provide industry with competent labour. 1934 – The next special exhibition was on rubber which attracted even more visitors. It featured films and recreations if an Asian rubber plantation as well as live rubber trees from Malaya. The Rubber Growers' Association, the Research Association of British Rubber and Tyre Manufacturers, the Rubber Institute of Malaya and the London Advisory Committee for Rubber Research provided guides and their own companion books. The exhibition then visited Manchester and Edinburgh. Opened an exhibition on refrigeration in association with the British Association of Refrigeration. 1935 – This year saw an exhibition on “Noise Abatement”. The Anti-Noise League would soundproof the Science Museum’s lecture hall for them. The Ministry of Health and Office of Works were also involved. It was opened by first Labour Prime Minister Ramsey MacDonald on the 31st of May, 7 days before he stepped down. Opened an exhibition on “The Empire’s Airline” in association with Imperial Airways. 1936 – Opened “Smoke Abatement” exhibition. Opened the “Electronic Illumination” exhibition which was curated in part by the Electric Lamp Manufacturers Association. 1937 – Opened the “Television” exhibition in association with the Radio Manufacturers Association and the BBC. 1938 /39 – The Science Museum hosted the special exhibition on “Science in the Army” in co-ordination with the Army and War Office who provided most of the exhibitions and printed material. It essentially told the story of “how a raw recruit is turned into the up to date solder” by technology. April 1940 – The House of Lords asked the Standing Commissions to allocate war materials to the various institutions. 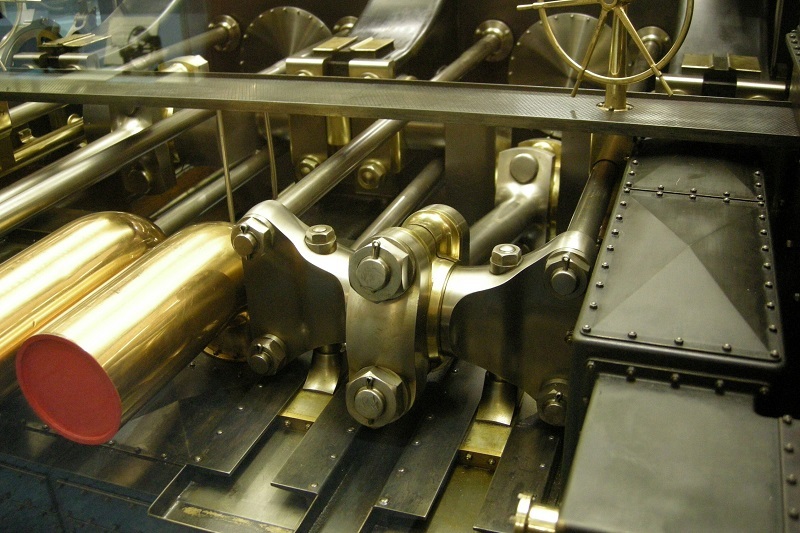 The Science Museum was given priority for technical material; though this did not prevent all institutional conflict. February 1940 – In order to alleviate the boredom and tension of the Phoney War, on the 14th of February the Science Museum opened an exhibit on “Aircraft in Peace and War” which presented the social history of 20th Century aviation. It was divided into four periods: Historic (1903-1914), the Great War (1914-1918), Civil and Military Aviation (1919-1939) and the Aeroplanes of the RAF (1940). It included 100 models and a few full scale items. There was also contemporary equipment from the Air Ministry and aeronautic industry, partially due to the demands of war the exhibition changed over the course of its run with items coming on and off display. Bernard Davy managed to secure a Hurricane fighter from the Air Ministry for display. He was able to gain a model of the Whitley V (1940-11) from Armstrong Whitworth Ltd through his industrial connections but was denied a Defiant bomber model from Boulton & Paul due to the Official Secrets Act. Davy also used these contacts to arrange loans of cutting edge aircraft engines from Rapier and Rolls-Royce. The exhibition attracted 80,000 visitors. September 1940 – The “Aircraft in Peace and War” exhibition closed in when air raids on South Kensington damaged the East Block’s windows and glass roofs. However the Science Museum escaped the war without major damage. 1945 – One challenge of the post-War period was the fact that science had rapidly advanced during the war and now entirely new areas of science, like nuclear physics, had to be represented. Davy received a captured V1 rocket (Inv. 1945-77) from the War Office. February 1946 – On Valentine’s Day the Science Museum re-opened with 12 galleries, 4 for permanent exhibitions, 8 for the “Exhibition of German Aeronautical Developments”, though it also covered British, American and other innovations. The exhibition was meant to use captured Axis equipment and advanced Allied technology to educate government personnel. 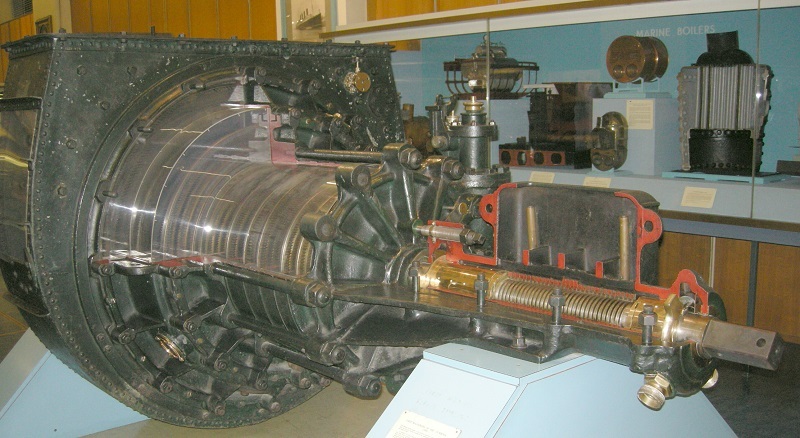 The exhibition featured the first display of a V2 rocket. The four permanent galleries displayed recent developments including atomic energy, uranium production, X-ray applications and the quartz crystal clock. June 1946 – Opened the “Naval Mining and Degaussing” exhibit. 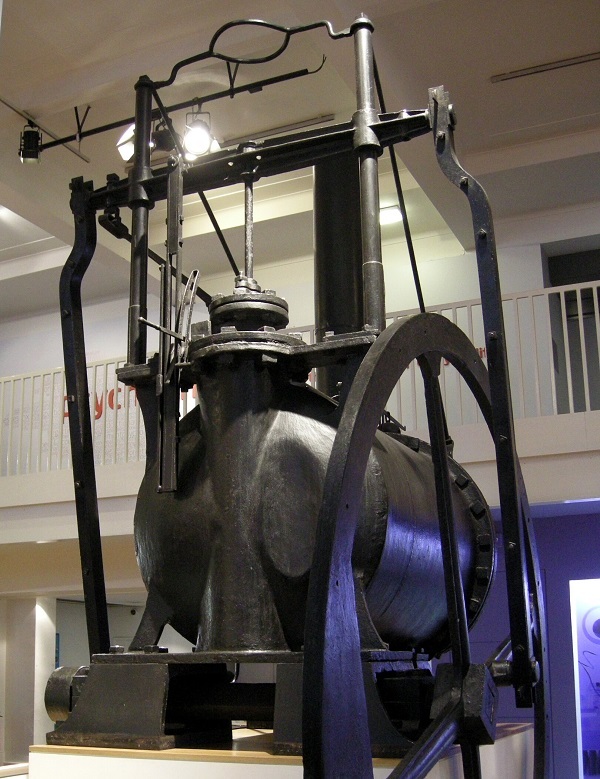 It was based on a display of material by the Admiralty Mining Establishment at Havant. It attracted 250,000 visitors in four months. 1947 – Opened the “Chemical Progress” exhibition in association with the Chemical Society and the Department of Scientific and Industrial Research. Opened “The History of Surgery” exhibition. October 1947 – Opened the “Home and Factory Power” exhibit which explored the relationship between domestic consumption, industrial consumption and the production of gas and electricity. This was done in partnership with the Ministry of Fuel and Power. November 1948 – Opened the “Science in Building” exhibition based on the work of the Building Research Station of the Department of Scientific and Industrial Research. It was used in over 60 school parties, mainly from technical schools. 1952 – Opened the “A Hundred Alchemical Books” exhibition. This proved controversial as while alchemy was considered an early form of chemistry it was not a respectable area of study at the time. There were also some who thought that its spiritual themes compromised the museum’s reputation as a secular institution. 1954 – Opened “The Story of Oil” exhibition in association with Shell. 1963 – The Flight Gallery was opened. 1964 – New chemistry gallery featuring a huge interactive periodic table designed by Robert Wetmore of Oriel Equipe. 1965 - Opened a short exhibition on “Freedom from Hunger”. 1970 – President Richard Nixon gifted the nation Moon rock wrapped in a Union Jack with the instructions they should be on display to the public at the Science Museum. 1971 – Opened the “Natural Gas” exhibition in association with the Gas Council. 1975 – The Duke of Edinburgh opens the National Railway Museum. 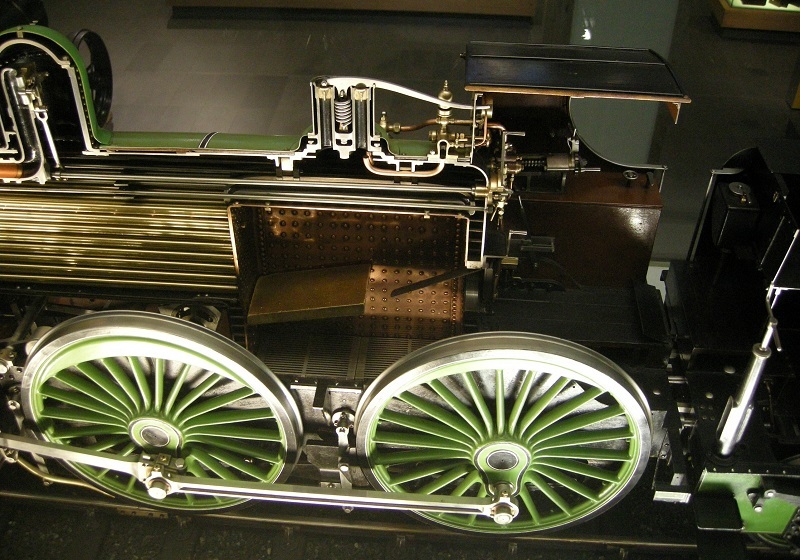 The museum had been arguing for the British Rail collections since the Beeching Cuts arguing “to do justice to a peculiarly British contribution to civilisation, [the collections] must develop exclusively as a railway museum.” It was a huge success, attracting half a million visitors in its first two months. 1976 – Opened the “Science and Technology of Islam” exhibition in association with “The World of Islam Festival Trust”. Following years of negotiation, the Museum entered a commitment to take on loan the Wellcome Foundation's collection of the History of Medicine: 114,000 items. 1977 – The Exploration Gallery opened for the Queen’s Silver Jubilee featuring Apollo 10, an 18th Century diving suit and a CT scanner. 1980 – Opened the “Challenge of the Chip” exhibition in association with The Design Council and the Department of Industry. This page was last edited on 1 March 2019, at 11:42.